The first superhero of Latinx descent in Marvel’s history, Hector Ayala (aka White Tiger), appeared in the mid-’70s in Deadly Hands of Kungfu issue #19. Created by George Perez and Bill Mantlo, Ayala was born in San Juan, Puerto Rico, and attended Empire State University in New York (where Peter Parker went!). As a student, he discovered the tiger amulets thrown out by the Sons of the Tigers, who were three martial arts students. His strength increased and he gained superhuman fighting skills when he wore all three amulets at the same time. As a superhero, Ayala fought alongside Spider-Man and Daredevil. Although he was eventually killed off, members of his family assumed the role of the next White Tiger. 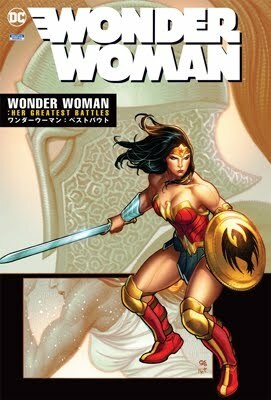 Somewhat George Perez-related, but Thomas Delfi wants to create "Largest Latino Comic Expo on the East Coast" convention called Nerdtino Expo. Actor Jon Huertas’ inspiration in making the self-financed “White Tiger,” based on the Marvel character, was simple — he wanted to see a superhero he could relate to. 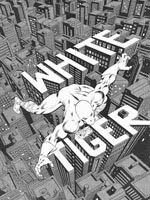 White Tiger, created by Bill Mantlo and George Pérez, was the first Puerto Rican superhero in the history of comics, and Marvel’s first superhero of Hispanic descent. Growing up without a father figure, Huertas looked to film, television and comic books for guidance.